Your home is ripe with mold spores, pollen, dust mites, and other irritating allergens. Breathe easy with the following tips on indoor air quality from Precision Air and Heating. Vacuuming, dusting, and cleaning surfaces prevents allergen accumulation. A HEPA-filter vacuum bag or filter reduces the ejection of vacuumed particles from the device. Only allow smoking outdoors. Limit candle and incense burning, and other soot-producing activities. Wash sheets, pillows, pillowcases, and comforters every 10 days- more if you have severe allergies. Use hot water to kill dust mites. On days with low pollen counts, open your doors and windows to circulate air. Room filtration units are ideal for highly allergenic individuals. High-performance filters prevent trapped microorganisms from multiplying on filter surfaces. Check your air filters every three months and replace them according to manufacturer recommendations. Ensure filters are attached securely around edges and have no gaps. Strange but true: many asthmatics are triggered by allergens from roaches, and dried rodent urine is a potent allergen. Ensure combustible appliances, stoves, furnaces, water heaters, etc., are unobstructed and properly vent outside; regularly service appliances according to manufacturers’ directions. Air duct cleaning, sealing, and attic vents contribute to effective ventilation and reduce by-product buildup. Only use unvented gas or kerosene heaters in open spaces with a cracked window. Check flues and chimneys for debris and cracks. The HVAC professionals at Precision Air and Heating would be happy to answer your questions about improving indoor air quality. We offer many services that benefit your home’s overall health, including air duct cleaning, attic vent options, and helpful AC maintenance plans. Schedule an appointment online or to speak with a Precision Air and Heating representative about air duct cleaning and other home improvement services, call 602-fix-my-ac. What Government Rebates Are Currently Available on New Arizona AC Equipment? Is someone stealing your Freon? 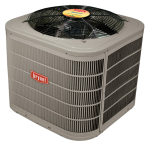 Should I Replace My Air Conditioner and Furnace at the Same Time?